Editor’s note: We’ve republished this piece in light of President Donald Trump’s comments about Virginia Gov. Ralph Northam at his State of the Union address. Go here to read about Trump’s remarks. Virginia Gov. 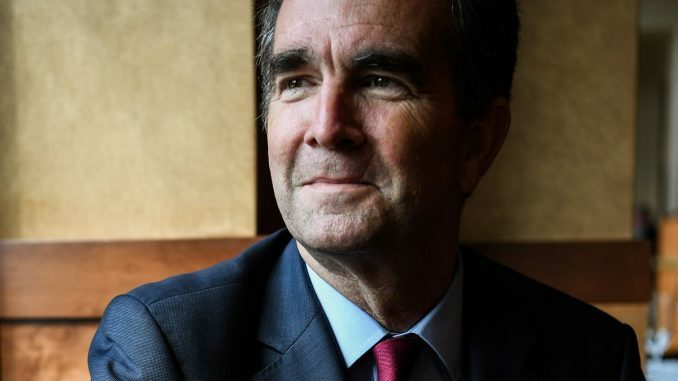 Ralph Northam is facing backlash after expressing support for women’s right to terminate their pregnancies in the third trimester if medically necessary. In an interview with WTOP, Northam was asked about a bill that would loosen the restrictions surrounding third trimester abortions in Virginia. The state, which only has two abortion providers, currently bans the procedure after 24 weeks, except in cases where a woman’s health is in danger. Only 1.3% of all abortions nationwide take place after 20 weeks of gestation, according to a 2009 report by the Centers for Disease Control and Prevention. And Northam is right: The reasons women might seek abortion care at a later date are very complex. Dr. Beverly Gray, an assistant professor of Obstetrics and Gynecology at Duke University, has previously told Refinery29 medical complications are often the reason why pregnancies are terminated after 20 weeks of gestation. While explaining the HB2491 measure, Northam also explained from a medical perspective what it is like for women with nonviable pregnancies to go into labor. “The infant would be delivered; the infant would be kept comfortable; the infant would be resuscitated if that’s what the mother and the family desire, and then a discussion would ensue between the physicians and the mother,” he said. Anti-choice advocates jumped on those comments, arguing that Northam supported “abortion on demand” and “legal infanticide.” Sen. Marco Rubio tweeted: “Never thought I would see the day America had government officials who openly support legal infanticide.” Meghan McCain falsely claimed that “[The U.S. is] one of only seven nations in the world, along with North Korea and China, to allow abortion on demand after 20 weeks.” In fact, 65 countries allow abortions to take place after 20 weeks of gestations in cases where there are fetal malformations or anomalies present. And terminating a pregnancy at that stage is not only rare, but also a long and expensive process in the U.S.: A woman who terminated a nonviable pregnancy at 32 weeks told Jezebel the four-day procedure cost her $25,000 out-of-pocket and she wasn’t sure if she would receive any reimbursements from her health insurance. While anti-abortion proponents such as President Donald Trump like to claim “you can take the baby and rip the baby out of the womb in the ninth month, on the final day,” physicians have often said this is a lie. 10 Travel-Friendly Beauty Essentials You Need To Pack NOW! Joe Manganiello Is Already Moving In With Sofia?